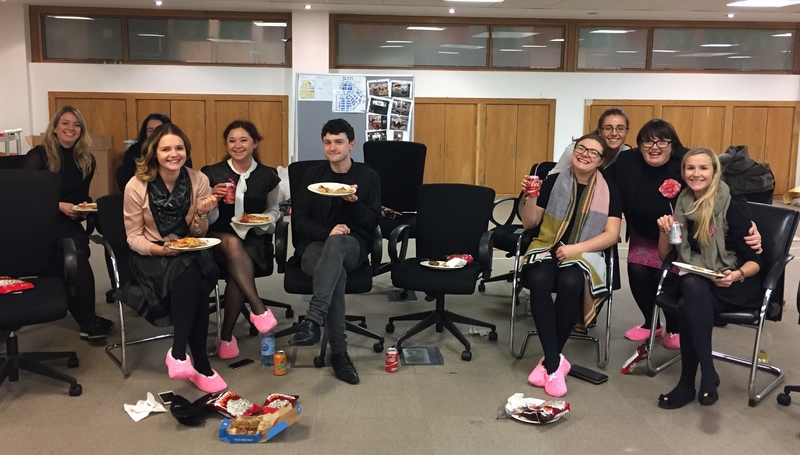 The team at 156 hosted a “Paint it Pink” day in aid of Breast Cancer Awareness and to raise much needed funds for the Irish Cancer Society. Team members were encouraged to participate by wearing something pink to work and to take part in our pumpkin carving competition during the afternoon followed by a scary movie party that evening. The Company purchased the supplies for the movie party to include fluffy pink socks and everyone was asked to make a donation towards this worthy cause.